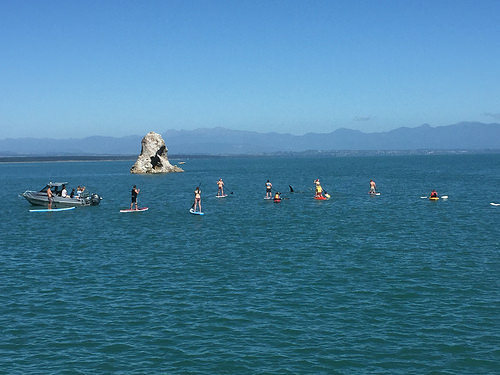 Hey folks, we’re well and truly into the hazy days of a New Zealand summer! It’s time to relax among the vines and enjoy vineyard lunches. And in the Nelson/Tasman region, you’re never to far from these. 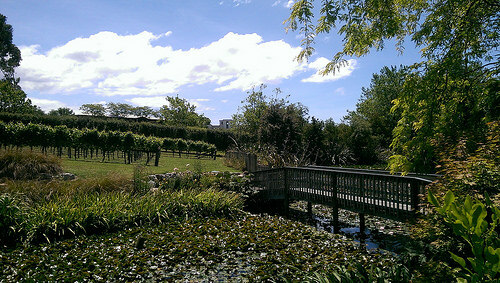 Orchards and vineyards are part of the landscape. The Boxing Day sales are chocka full of people spending up again so soon after Christmas. “Hey guys”, I want to say, “pack a picnic lunch, grab your kids and head down to the most beautiful ocean views imaginable”. A great family treat is fishing down on the wharf. 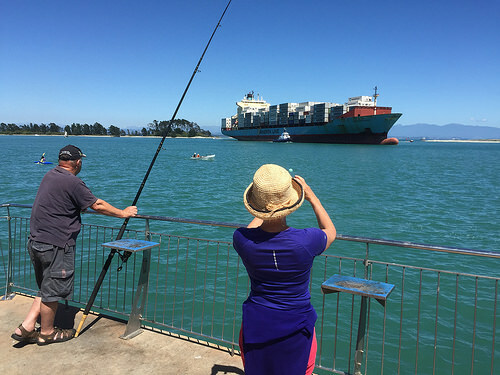 There’s always something going on down here with container ships coming and going and yacht races hold a special fascination. As the morning wears on, the kids begin to grizzle, so luckily there’s always the iconic “Mr Whippy” to put a smile back on their little faces. This little kid might miss out. But this big kid always gets his ice-cream in record time. 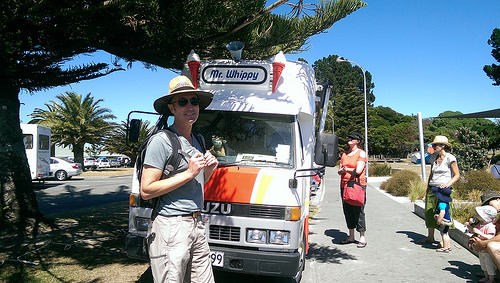 ‘Mr Whippy does a roaring trade in the summer, as do the Paddle Boarding companies. This is a great way of being interactive with the water and it’s a pretty safe option for older kids and adults when the weather is calm. 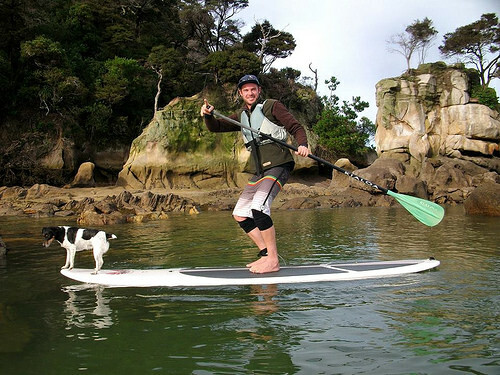 But the coolest thing about paddle boarding is often that unexpected encounter. On Christmas day, these guys had the ultimate experience being checked out by curious Orcas feeding on stingrays. We saw this happen from the wharf and it was an amazing sight. There’s always that moment when we retreat from the growing crowd of holidaymakers and make our way back to the Nelson centre. 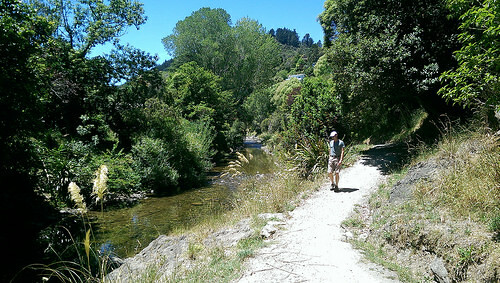 We love this walk along the beautiful and tranquil Mitai River. A New Zealand summer in this region is more of a Mediterranean climate with fresh mornings but beautiful dry sunny days. 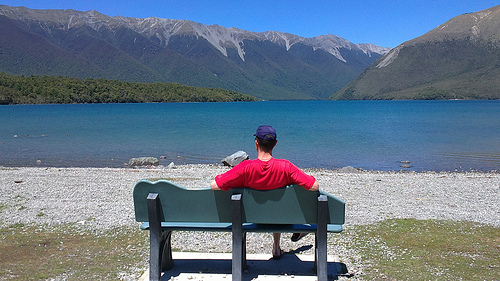 When you’re travelling through New Zealand, there’s always a park bench or table placed thoughtfully placed for a brief sit-down. These seats and tables are often dedicated to the memory of someone who loved the area when they were alive. This is Michael’s favourite, just an hour and half away at beautiful St Arnaud. 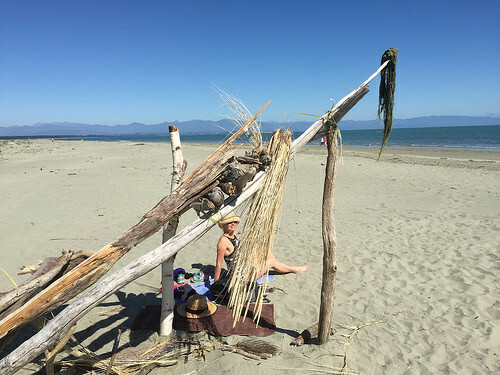 So it’s back to Tahunanui Beach to catch a sunbeam before heading back to the office. It was just by coincident that we were out on our bikes and although the parents on the wharf were a little nervous, we could hear their kids whooping with joy. It was quite a poignant moment to see these beautiful creatures say goodbye and swim through channel. Yes, it’s easy to forget the slip slop – very important to have sunblock! Oh, I love NZ and I spent 6 month traveling the country two years ago. I can’t wait to come back. 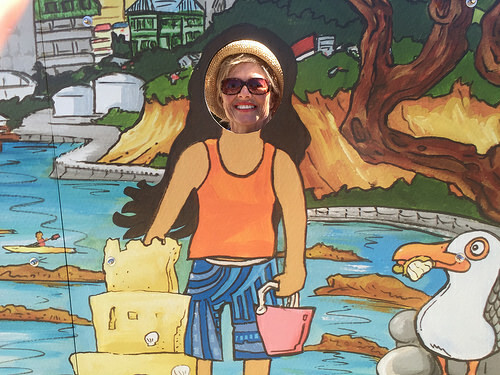 I had a great time with my wife traveling and discovering the country. Your post reminded me of the country I so loved. Marc, so good to hear of your positive travel experience of our beautiful country. Believe me, there is so much more to discover and although we’re always travelling throughout the country, we’re always discovering something new and hidden gems. Thank you for your comment and do come back soon!